For most people, space is paramount when shopping for a family car. Knowing how well the vehicle will accommodate you and your family is an important consideration. 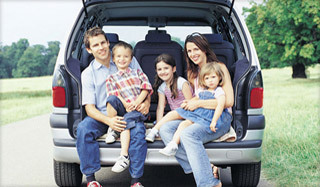 A spacious family car usually can be utilized for numerous purposes. Several types of family cars exist in the market and each one of them comes with its own unique features. In this article, we will list some of the most popular family cars in Australia to help you narrow down your options and find the best car for your situation. 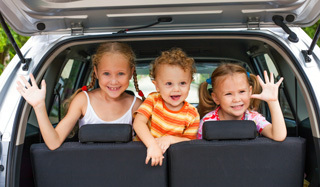 An 8-seater car is the obvious option for large families. Ever since these cars were introduced to the market, they have been growing in popularity as they offer space that smaller cars would be hard pressed to beat. Small cars can only accommodate five passengers, but an extra space allows for 1-2 more passengers. While there are few 8 passenger auto manufacturers, you can start selecting among affordable 8 seaters cars. The best eight-seater cars are those that have excellent fuel efficiency, mileage, performance, as well as passenger-friendly features. Popular eight-seater cars include Hyundai i800, Mercedes-Benz Viano and Fiat Scudo Combi, while Peugeot Expert Tepee, Citroen Dispatch Combi, and Volkswagen Shuttle can be ordered with up to 9 seats. Comfort varies a lot between models. Some models feel roomier than others, with better leg, head, and toe room. If you are searching for a practical way to haul your family around, the people mover could be your ride. With plenty of seats as well as enough luggage space, there’s no doubt these types of cars can pull family duty. Although they are not trendy and attractive, there are times when a large box on the wheels really is an excellent solution. There are many different types of people movers to suit any family and budget. The Kia Carnival has been Australia’s top selling people mover over the last couple of years, whereas Honda Odyssey continues to receive praises from car enthusiasts across Australia. There are a number of family friendly options available for your people movers. For instance, the more 12Volts power sockets that you posses the better for such devices as phone chargers, DVD players, sat navs, as well as handheld games consoles. Some people need to transport 7 people regularly, in which case a vehicle with 7 seats is invaluable. The best seven-seater cars you can purchase range from expensive Range Rover Sport to inexpensive Alhambra MPV, with a broad range of vehicles in between. Mercedes R Class proves that seven-seater cars don’t have to be unattractive MPVs, whereas the Land Rover Discovery means you can carry numerous people across the most unwelcoming terrain. It is worth of a note that not all 7-seaters cars are designed alike. Most come with two seats in the rear seat, which usually disappear beneath the floor when they are not in use. Other seven-seater cars, such as Chrysler Grand Voyager and Volkswagen Caravelle only feature two middle-row seats. This means that if you need to carry 5 passengers in comfort, you will be required to have a third row in place. Recent years have seen the increase in the number of SUV’s being sold. Among them, only a few have an option of 7 seats, though like estate vehicles, the usefulness of the rearmost front of seats may be compromised. Some of the 7-seaters SUVs include, Hyundai Santa Fe, Holden Captiva, Nissan Qashqai+2, Kia Sorento and Mitsubishi Outlander. Be sure to check the additional cost before you purchase as not all come with 7-seats as standard. It is embarrassing to load up all your passengers only to realize that there is nowhere to put their luggage. This is a common problem with many seven-seaters, especially medium-sized SUV’s. If you want to regularly carry 7-people and luggage together, you will need a full-size MPV. In case you want more luggage space, shop for SUV’s with roof rails installed as standard. Usually, these have the ability to support up to 100kg of additional weight. Compact cars are known for being mid-sized cars that are bigger than super-minis as well as city vehicles. Popular with younger, price-conscious people, these types of car category have a large number of different makers, which can make it difficult to decide which model will best fulfil your needs. The compact SUV’s includes the highest-mileage hybrid as well as diesel-engine vehicles available to date, their fuel efficiency is their major selling factor. Be aware that seating capacity and cargo space varies a lot between models. Many compact vehicles can seat an average-size person behind another average-size person. However, some models provide more head and leg room in the rear and front than most mid-sized cars. Affordability on the mid-range level is what keeps these vehicles in high demand. The cheapest price isn’t the only reason to purchase this model. However, what you need is value for cash in terms of features. Dual cabs are extremely popular not only in Australia, but in many different nations across the world. They are usually used for commercial purposes, like transporting goods and equipment from place to place. They are also popular for recreational purposes because they have the best alternatives for storing gear when 4 wheel driving as well as camping. Dual cabs are also great tow cars with most of them having the ability to tow up to 3 tonnes. Toyota Hilux is a popular choice for most dual-cab buyers. This model delivers quality, dependability and strong resale that Toyota cars are renowned for. Second on the list is Ford’s Ranger, which features one of the best engines of the era as well as airbags on its safety feature list. Holden Colorado is also popular among caravanners with its 3 tonnes braked towing capacity. The vehicle has a spacious, comfortable cabin, good economy, steers with more power and is the tough consumer off the beaten track. The number of family cars is Australia’s car market can only be limited by imagination. To find the right car with the best price possible, it is advisable to do your research on the cars that suit your needs, pick 1 or 2, test-drive them and if they pass the test, bargain for the price.